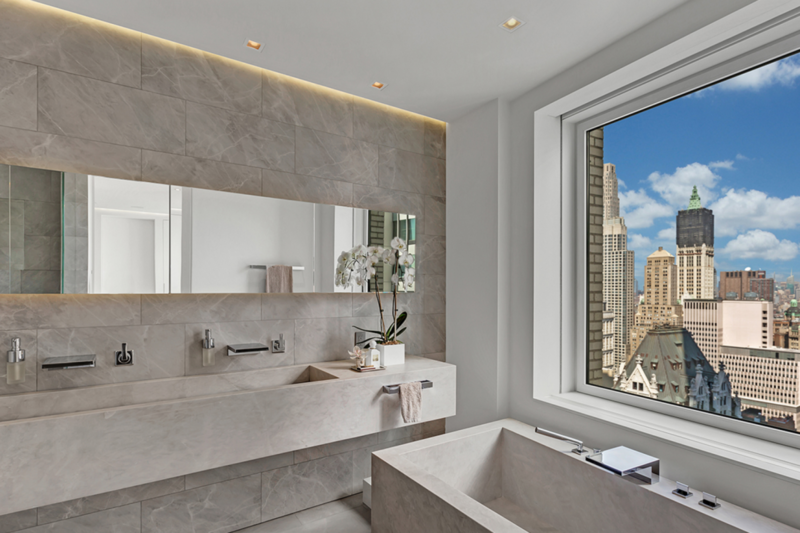 Thanks to a northeast-facing master bathroom, buyers of this one-bedroom penthouse condo at 20 Pine Street (priced at $4.195 million) can enjoy views of Midtown skyscrapers and East River bridges from their custom-carved marble soaking tub. 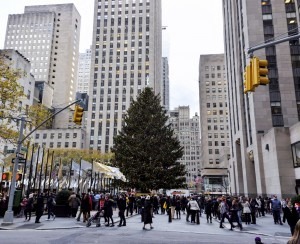 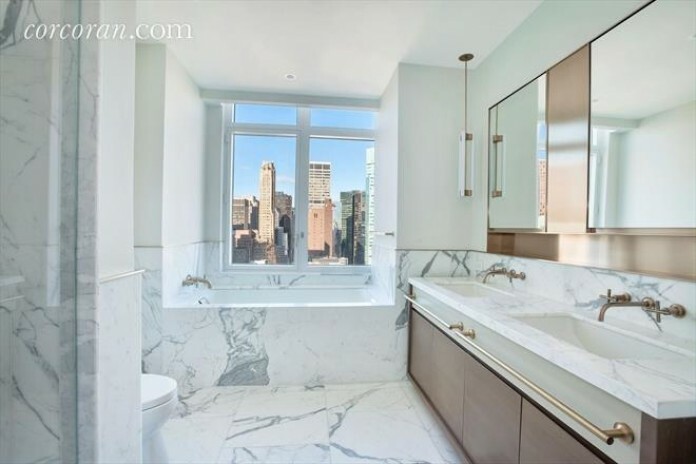 Since so many New York City bathrooms are so small and dreary they're otherwise windowless closets, finding one with a window and—bonus!—a view, is especially desirable. 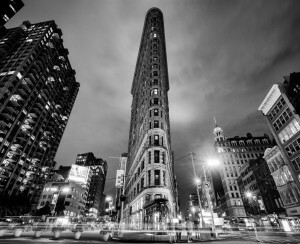 Here are six that offer inspiring vistas sure to enhance your morning or evening toilette. 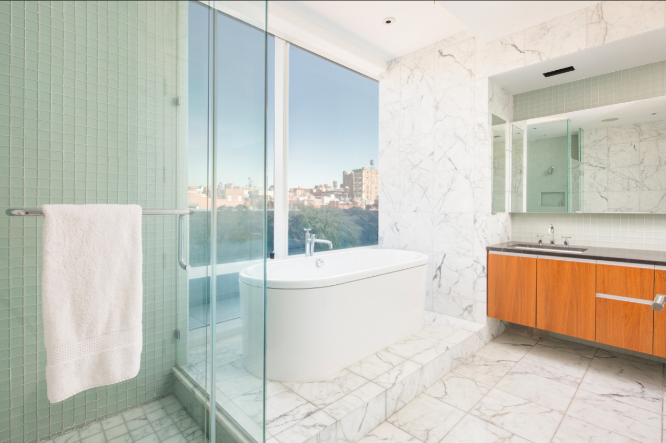 The master bathroom of this five-bedroom townhouse at 309 West 102nd Street (listed at $7.7 million) features white Carrara marble, radiant heat floors, and leafy views from both the walk-in steam shower and the chromatherapy whirlpool tub. 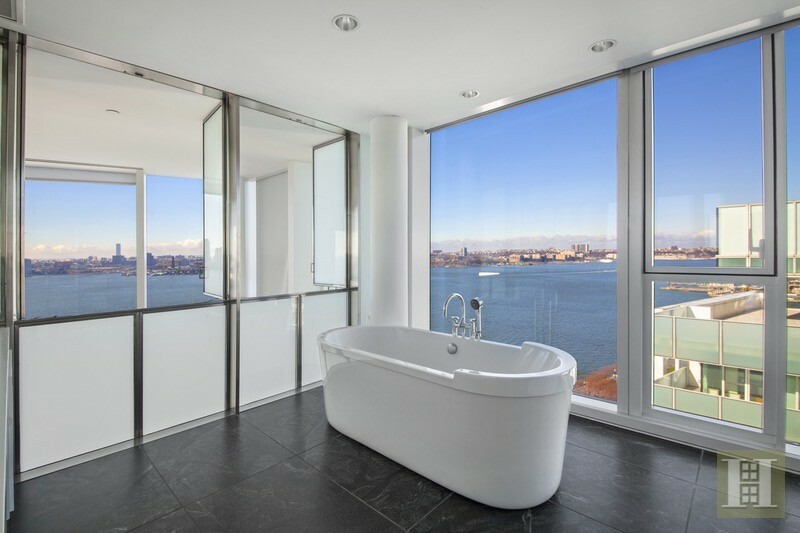 Beware of peeping Toms peering into the windowed master en-suite from the private wrap-around terrace of this penthouse at 311 West Broadway (going for $12.5 million). 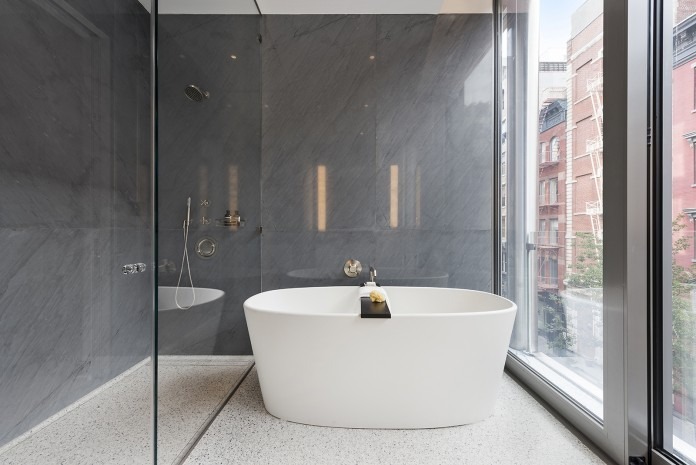 The second-story marble master bathroom of this duplex condo at 165 Charles Street in the West Village (yours for $29.950 million) includes two views: one facing north and the other overlooking the apartment’s double-height great room and the Hudson River beyond. You might not be able to see much of the view given how deep the soaking tub is in the master bathroom of this duplex four-bedroom condo at 305 East 51st Street (on the market for $11.75 million), but if you're bathing at night, you might just be able to look up and spy the moon and some stars. It would be a shame to cover the floor to ceiling windows of this stunning master bathroom within a three-bedroom condo at 42 Crosby Street (priced at $8.4 million); but seriously, how else is one ever supposed to get naked in that space?